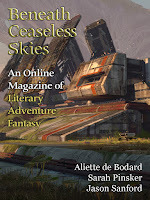 "A Salvaging of Ghosts," by Aliette de Bodard [bio] (edited by Scott H. Andrews), appeared in Beneath Ceaseless Skies issue 195, published on March 17, 2016. Pro: Thuy's mission to find her daughter quickly turns into something entirely different. A sad mission of duty becomes something much more. Con: There's never any feeling of tension, even when the time seems to be running out, and there's no emotional release at the end either; we never get a strong sense of loss from Thuy. I've only read a couple Xuya stories, and I'm once again impressed with how well they each stand on their own. I definitely got a strong sense of Thuy's loss. She's stuck mourning the fact that her daughter's life was so short. She thinks of her mothers' relationship, her own husband, her friend's future life with her partner and wishes her daughter had a chance for that too. She's not close to her other child out of fear of the inevitable loss of him to diving as well. So I found it very moving that the ship helped her see that she needed to release herself. I've read a few of these that I really liked, like In Blue Lilly's Wake, but this wasn't my favorite. Still, I'm glad it worked for you. I worry a little that I know her Dai Viet universe so well now that I might overrate a story that actually couldn't stand by itself. I'm glad to hear that you're finding them very sturdy as well. I liked this very much. The main character could come over as a bit flat, but I think the author was using that to try to portray her grief, and it worked for me. I rate this story ★★★★, one more than RSR. 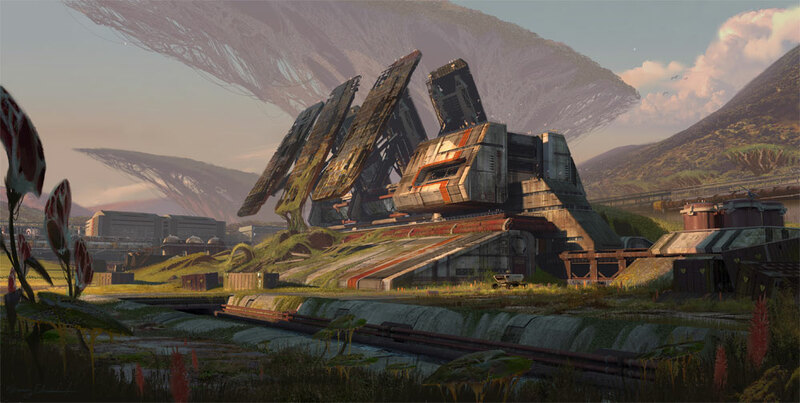 What worked for me was the setting and atmosphere. I didn't particularly care for the characters or understand the culture, but this weird space-fantasy mix (ghosts inhabit unreality space, bodies compressed into psychedelic gems) and action like deep pearl diving on Earth made it a memorable page turner. I also liked this very much. I also rate this a 4-star. It evoked such a strong feeling of sadness as I read it. I have read some of this author's Dai Viet stories but not all. Still works as a stand-alone story, as it is about an adult child that dies, and her mother is looking for her remains. It seems the whole family is in a very risky occupation out in space. I have now read a lot more short stories. This one is now looking like a 4.5 star story.